The manager of Antica Caciara always greets his patrons with a smile. 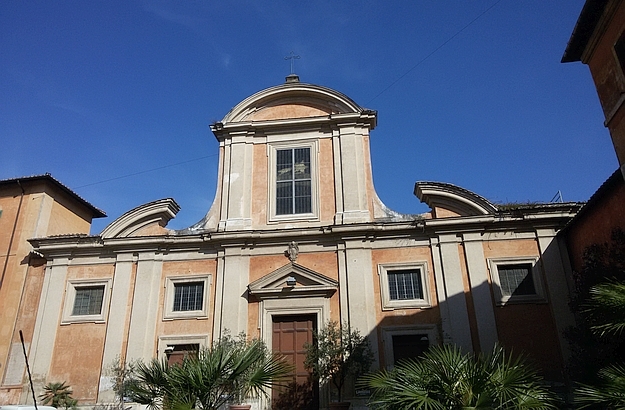 The lovely little church known as San Francesco a Ripa, in the Trasvetere. I have always loved the pinkish or reddish Roman facades. 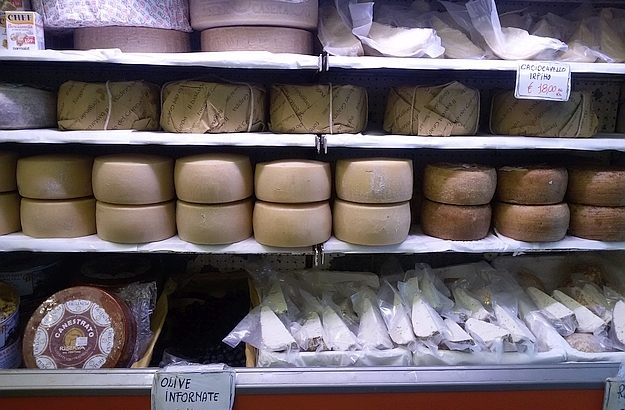 Rounds and rounds of cheese… You have to try the yummy pecorino romano. 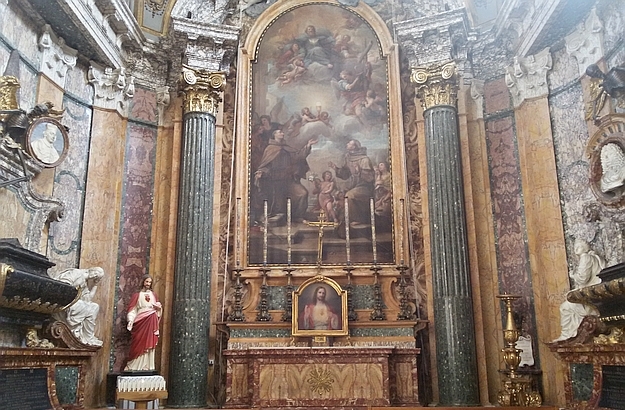 The nave of San Francesco a Ripa dates from the Baroque period. 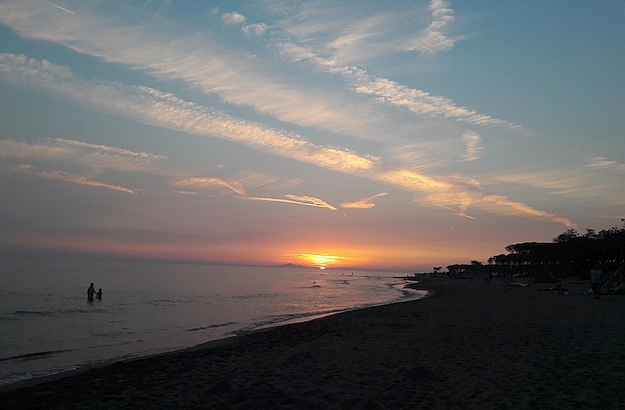 And after a day spent in Rome, time to enjoy a picnic on the beach! First, depending on your point of departure, board the train in Grosseto, Orbetello, Capalbio or Montalto di Castro, and get off at the Roma San Pietro station. This train will take you along the coastline of Tuscany and Lazio, give you the opportunity to enjoy beautiful sceneries during the two-hour ride (an average), and spare you the displeasure of having to brave Rome’s insane traffic. 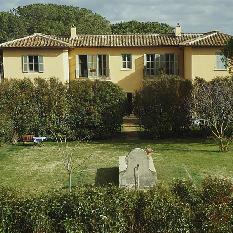 From the San Pietro train station, head for the Vatican (a 15 minute walk). 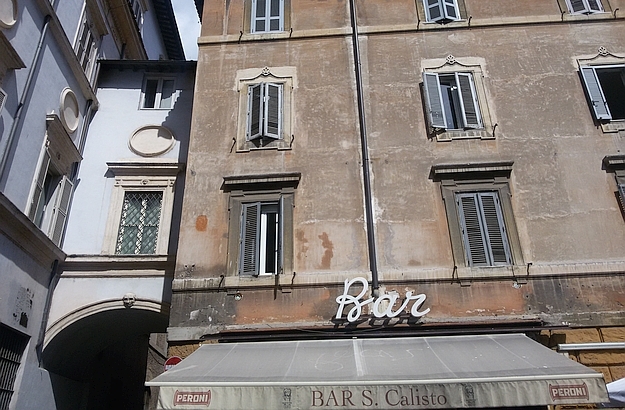 After visiting the Saint Peter’s Basilica, follow the western bank of the Tiber river until you reach, further south, the Trastevere neighbourhood, where you will be able to enjoy a great Italian lunch, and do some shopping and people watching. On the recommendation of Alice Adams, a photographer and food stylist who runs the lovely Latteria Studio in Rome, I had a very nice meal at the Trattoria da Enzo, a stone’s throw from the Palatino Bridge. 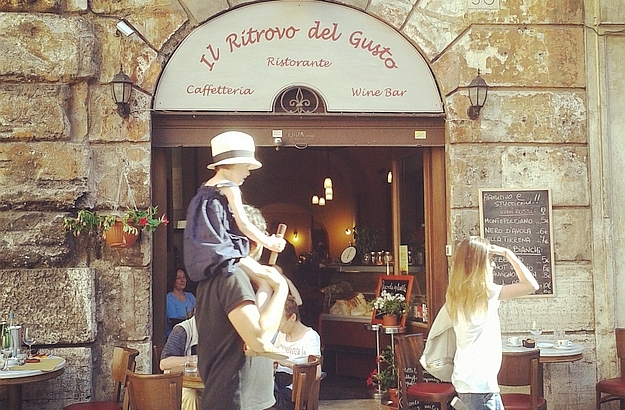 For more restaurants tips in Rome, have a look at Alice’s blog Rusticareto. 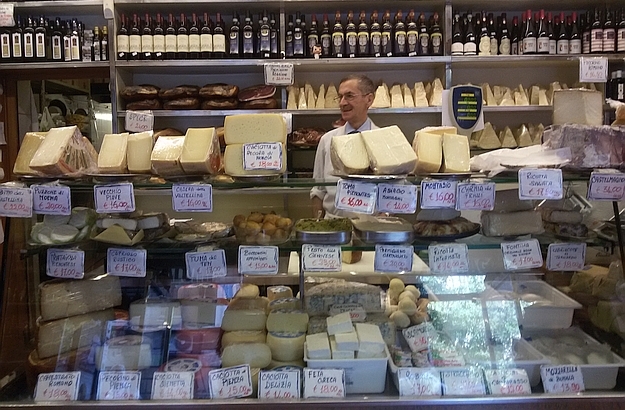 Then, what I love to do is to meander in the colourful Trasvetere district, sneak into its old intimate churches, and call at a gelateria or at Antica Caciara, a lovely little shop where I can pick up, among other viands, a good chunk of the delicious pecorino romano cheese.